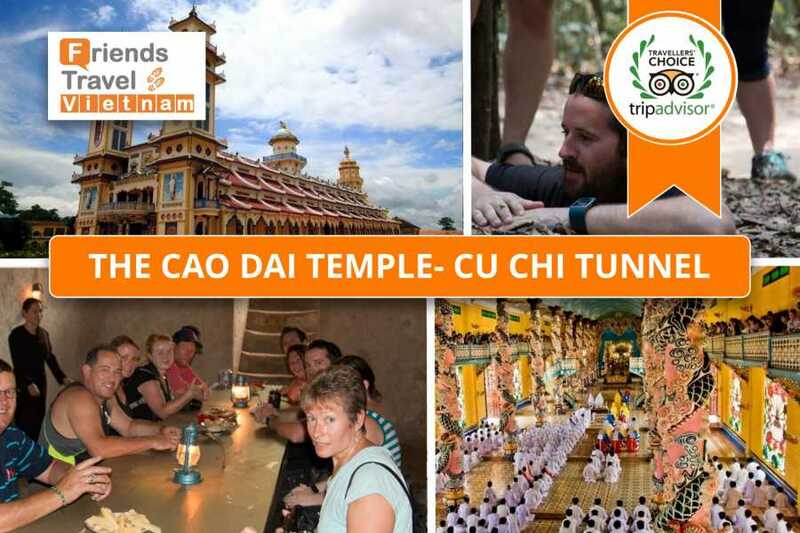 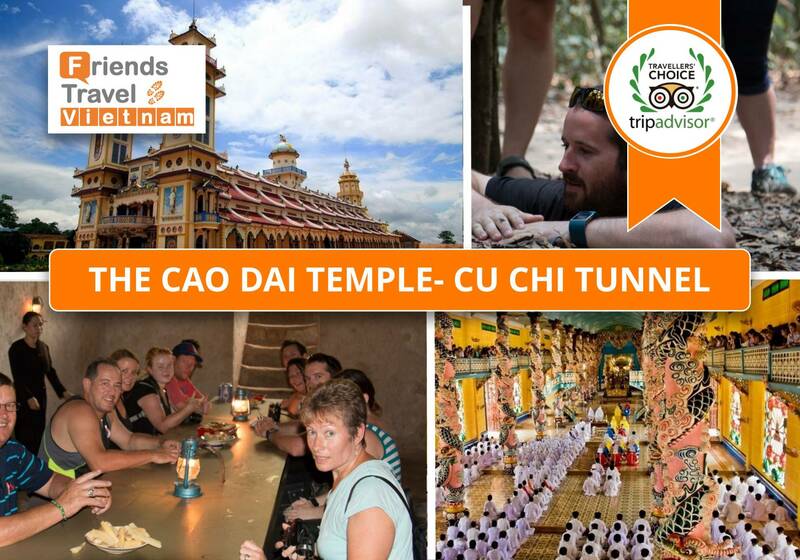 Let's see Cao Dai Temple - Cu Chi Tunnel ! 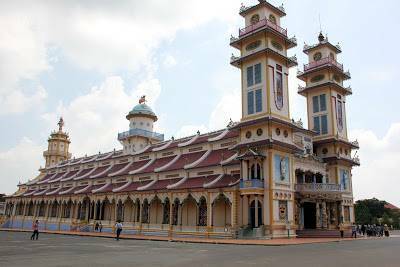 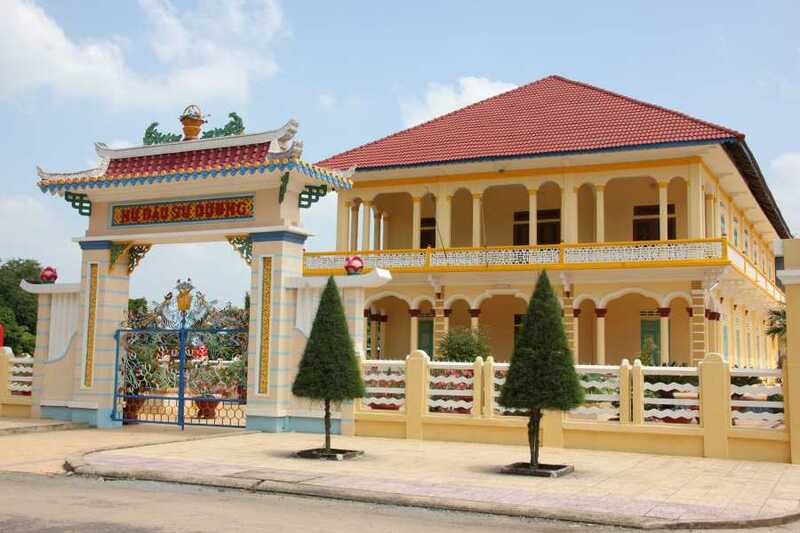 Begin with pickup at your hotel in Ho Chi Minh City, then start from Ho Chi Minh City/Saigon to Cao Dai Temple in Tay Ninh province. Visit Cao Dai temple - The building is the world's main church for Caodaism - A combination of Neo-Gothic, Baroque and Oriental design. 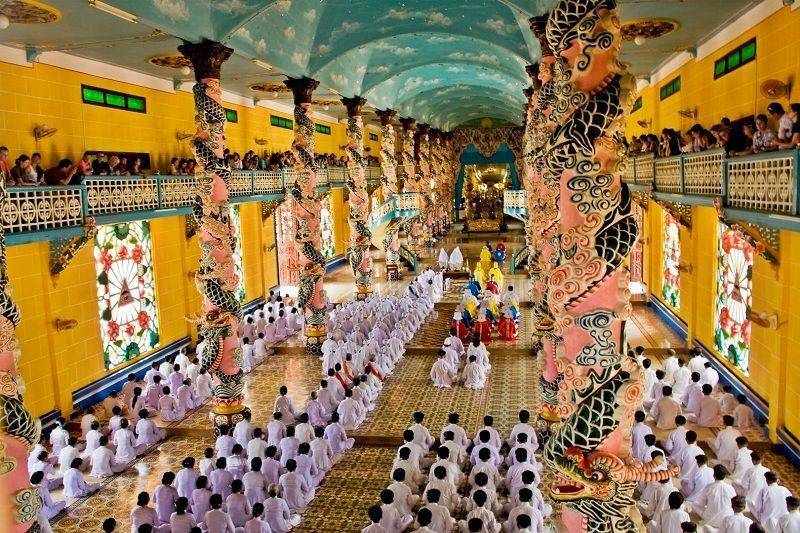 At midday, watch a unique Mass of the Caodaists - Watching Caodiasts pray is one of the major highlights when visiting the temple. 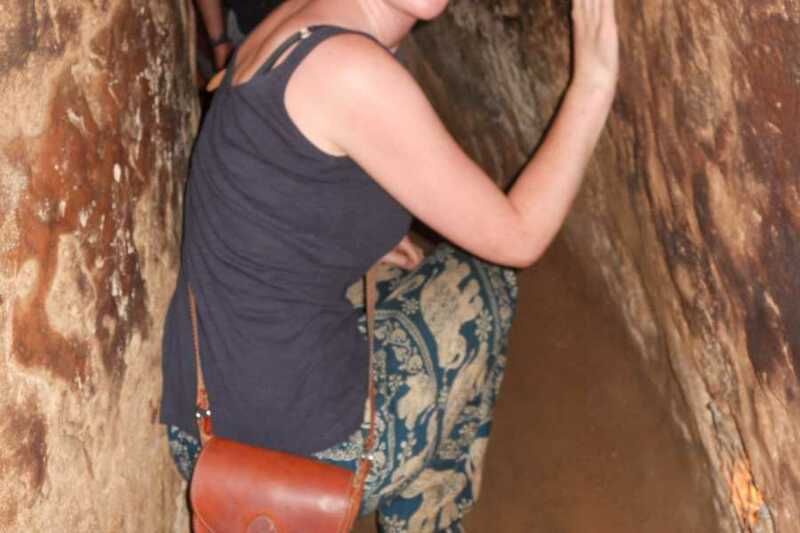 Visitors are permitted to watch from the galleries and may take photographs, knees must be covered and shoes removed before entering. 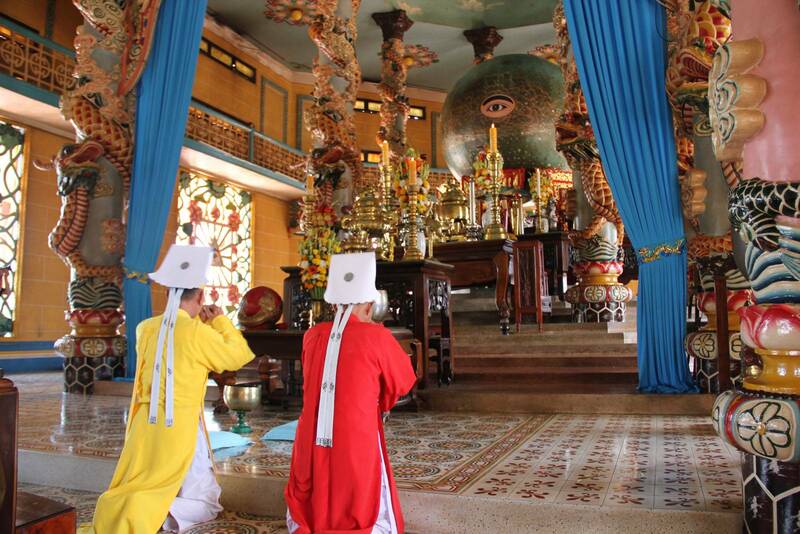 Silence is requested when a service is taking place. 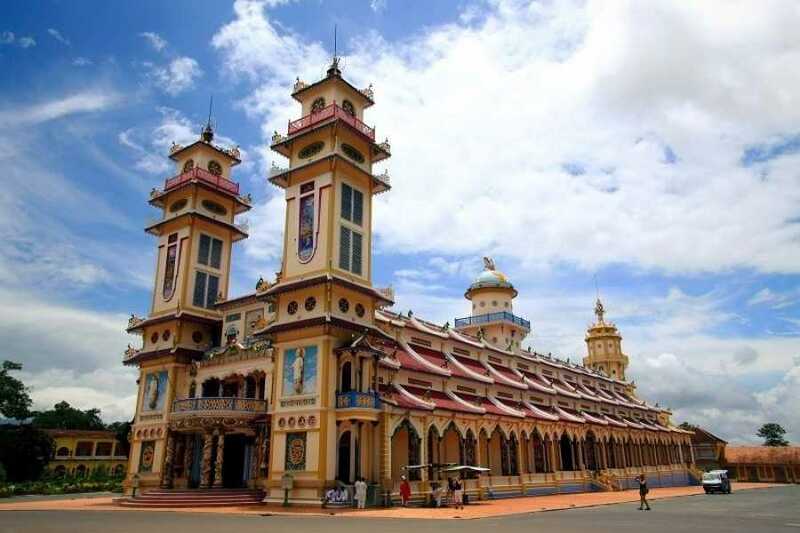 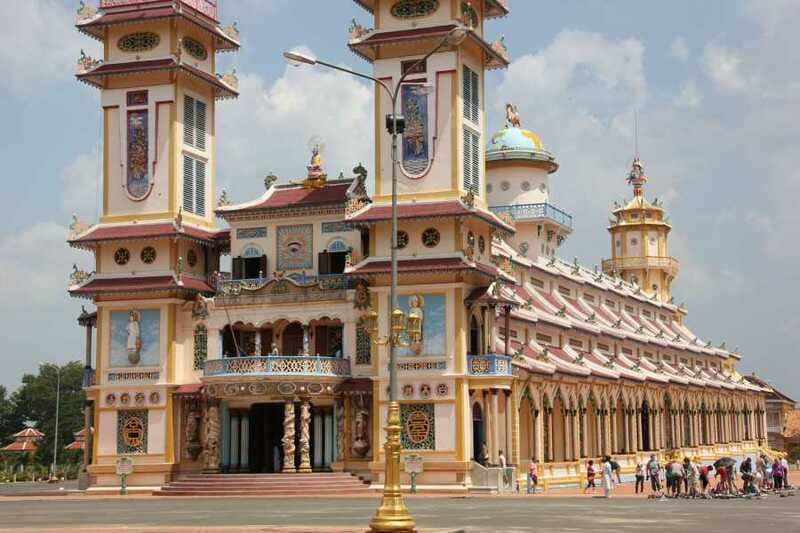 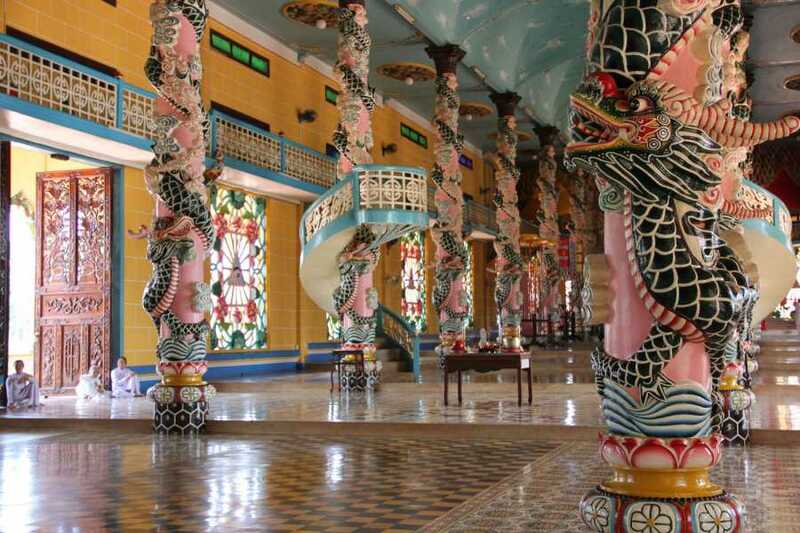 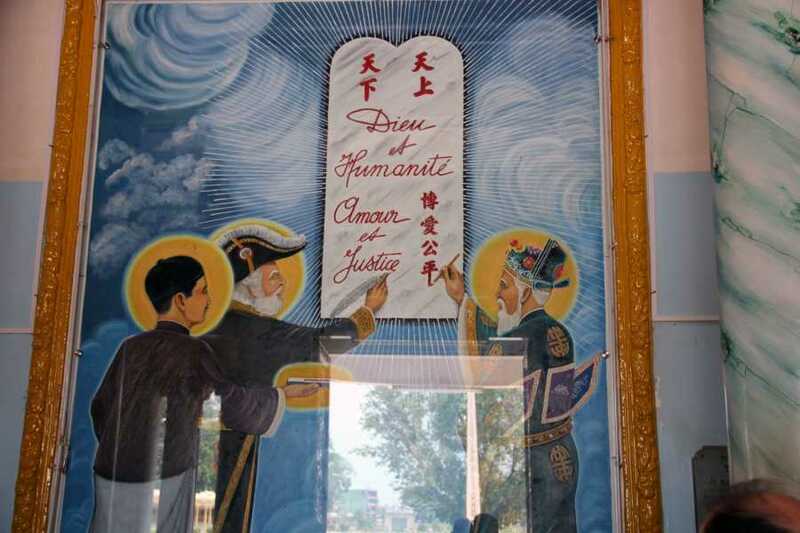 Visit Cao Dai temple - The building is the world's main church for Caodaism - A combination of Neo-Gothic, Baroque and Oriental design and is very ornately decorated including dragon wrapped pillars, seven-headed cobras, and ceilings of sky blue. At midday, watch a unique Mass of the Caodaists - Watching Caodiasts pray is one of the major highlights when visiting the temple as they dress in long flowing robes of white for lay followers, yellow, blue or red for priests whilst bishops have the Divine Eye embroidered on their headpieces. 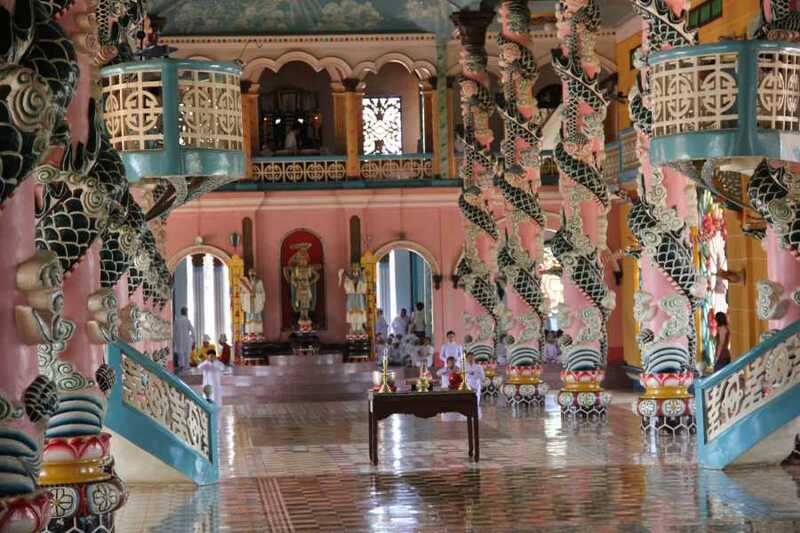 During worship, men are seated on the right and women on the left with all devotees seated in orderly rows. 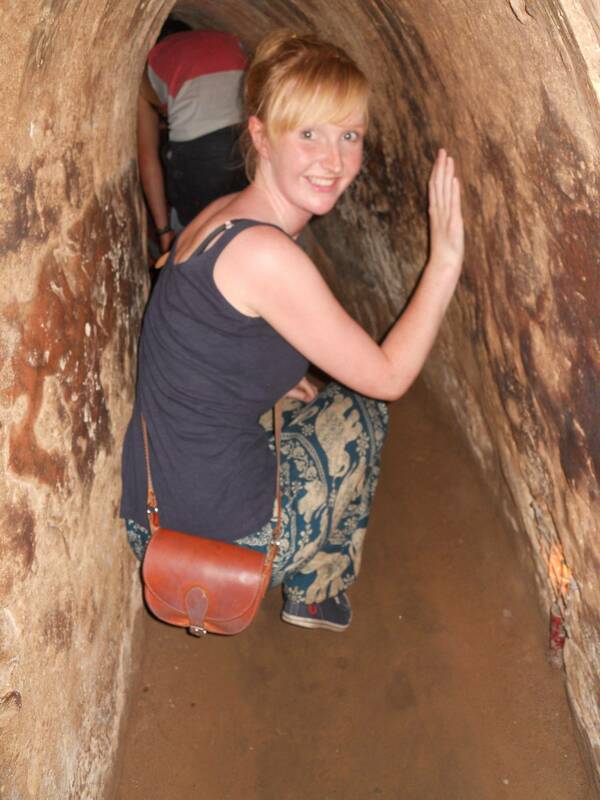 Visitors are permitted to watch from the galleries and may take photographs, knees must be covered and shoes removed before entering. Silence is requested when a service is taking place. 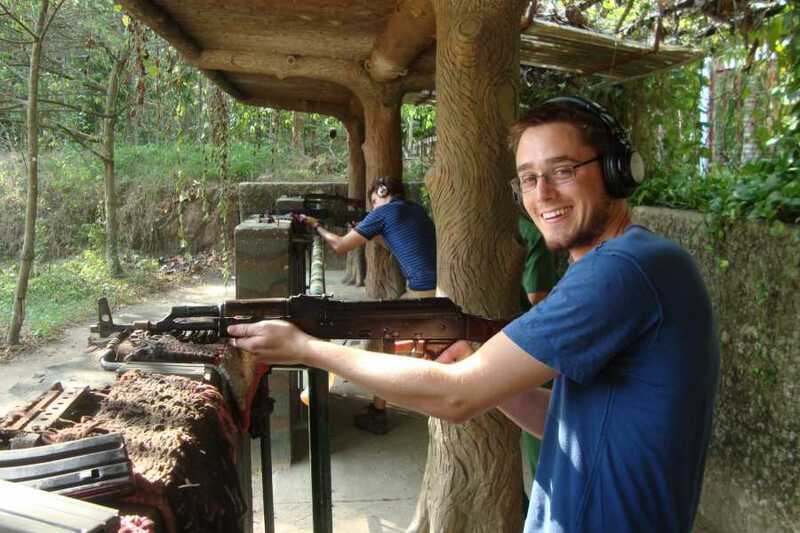 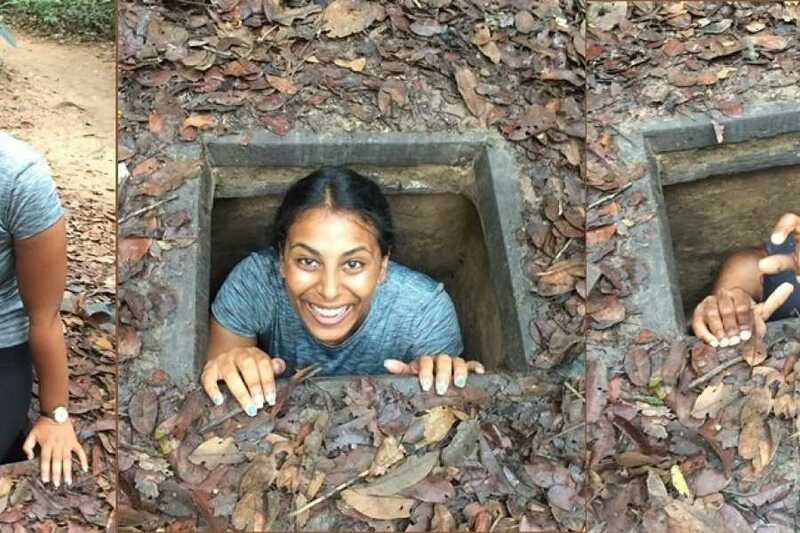 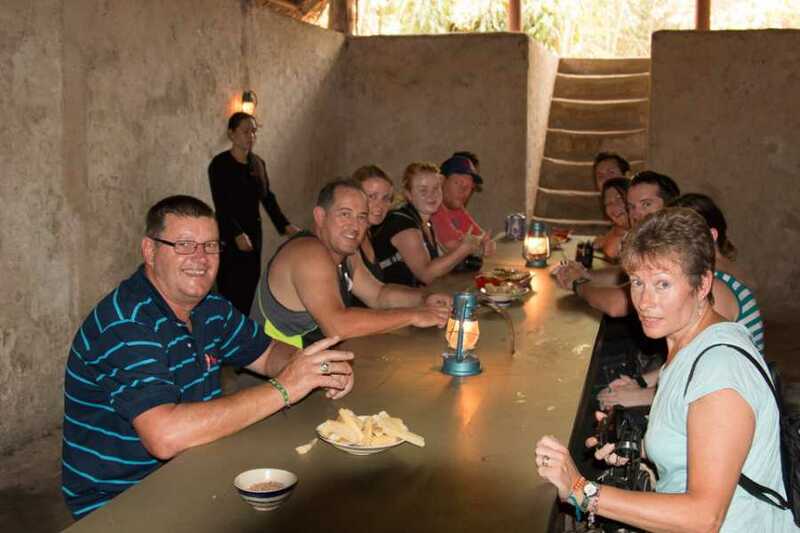 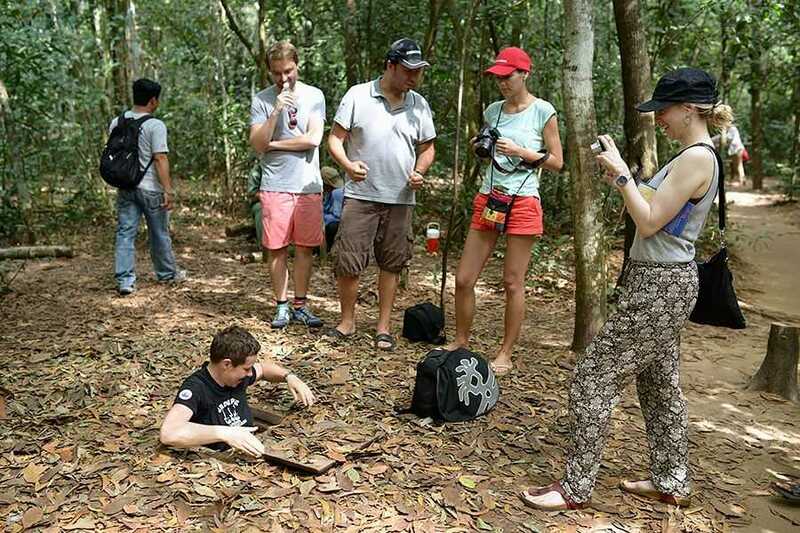 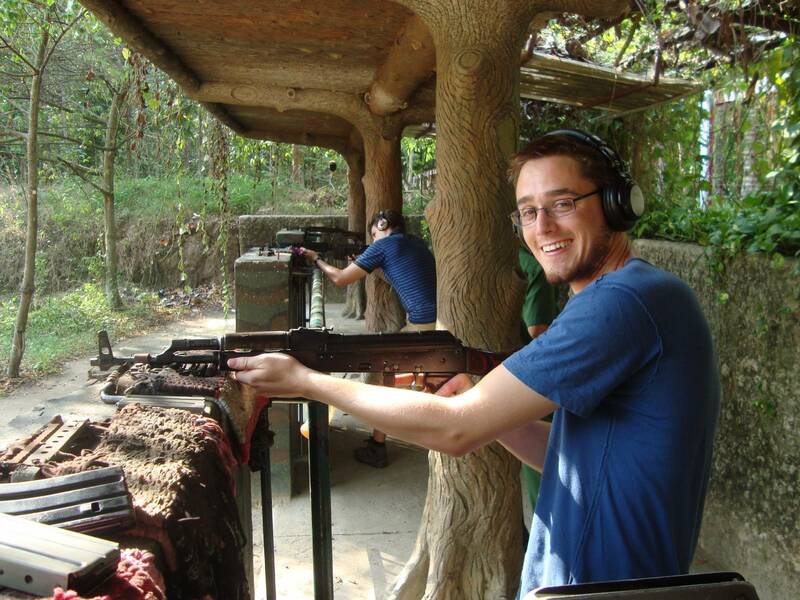 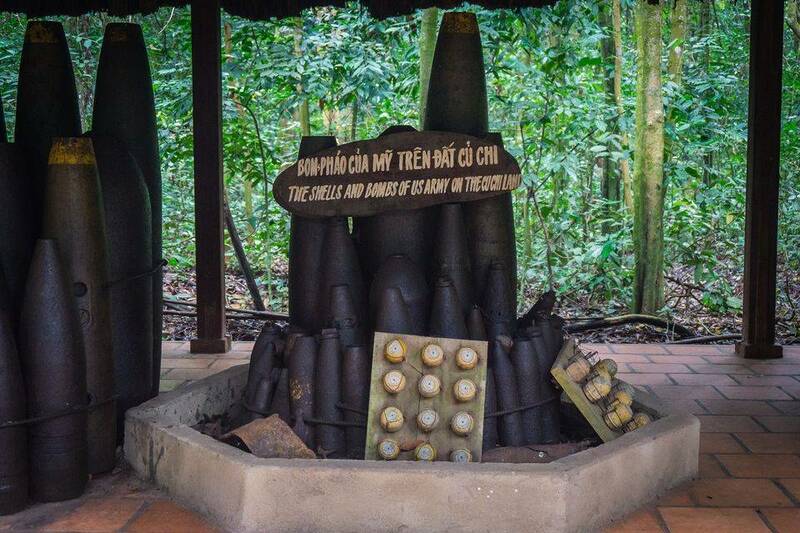 Have lunch at the local restaurant, drive to Cu Chi tunnels – Battlefield in Viet Nam War. 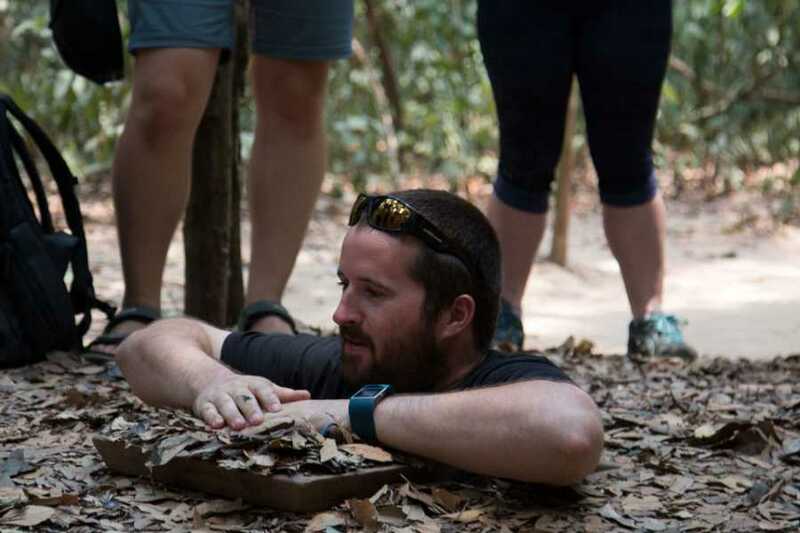 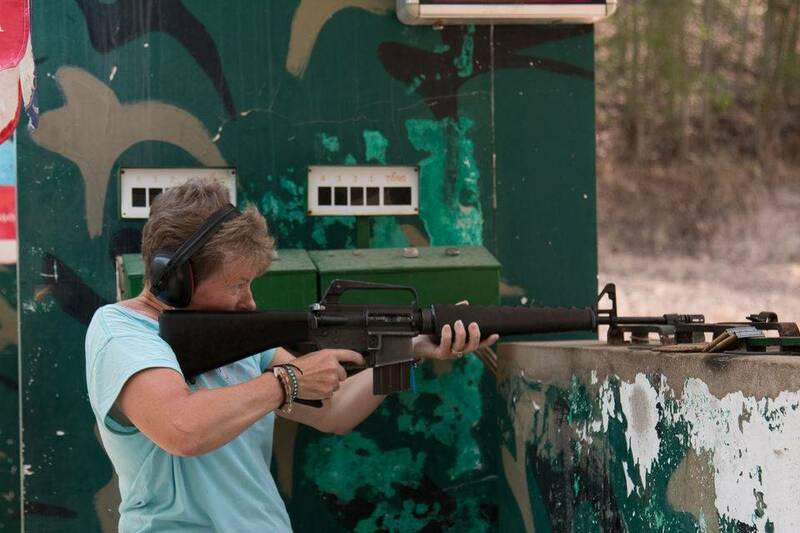 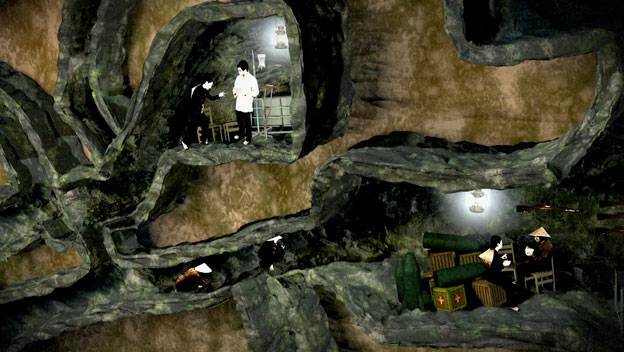 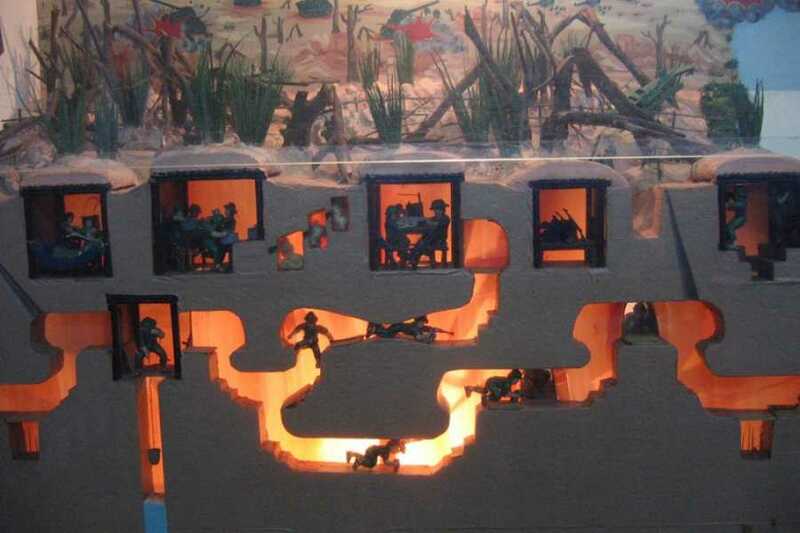 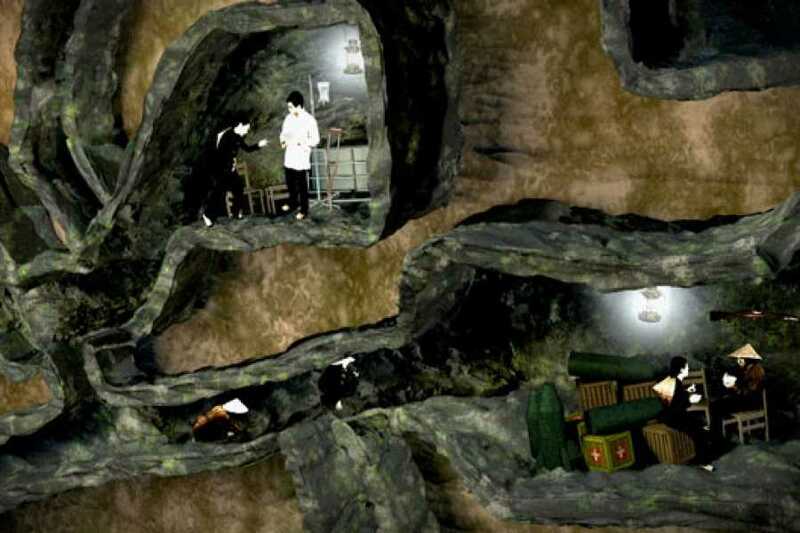 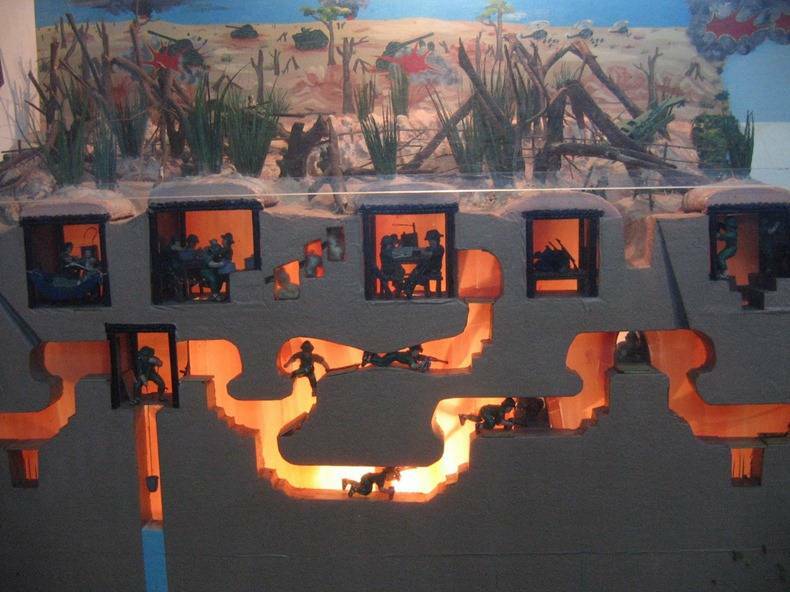 Visitors to Vietnam can now crawl through some of the safer areas of the tunnels, view command centers and booby traps, fire an AK-47 rifle on a firing range and even eat a meal featuring typical foods that soldiers living in the tunnels would have eaten. 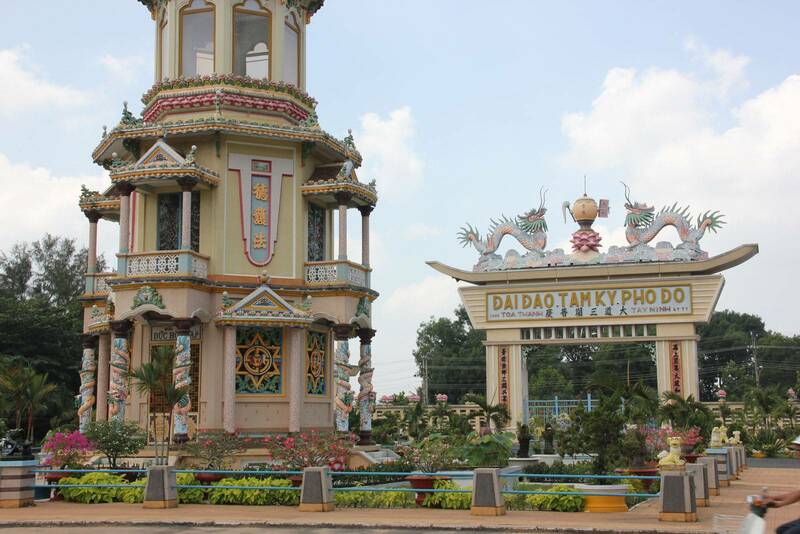 Drive back to the hotel, end of the trip.